Foxit PhantomPDF™ provides the right features at the right price, allowing you to produce great looking PDF document and forms quickly, affordably, and securely. 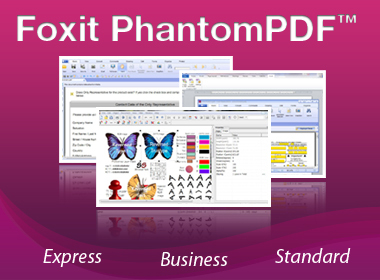 Foxit PhantomPDF is the perfect solution for home/home offices, small and medium sized businesses, and large enterprises. Foxit PhantomPDF comes in three versions to fit the diverse use cases that different users require. you can even create from scanner.